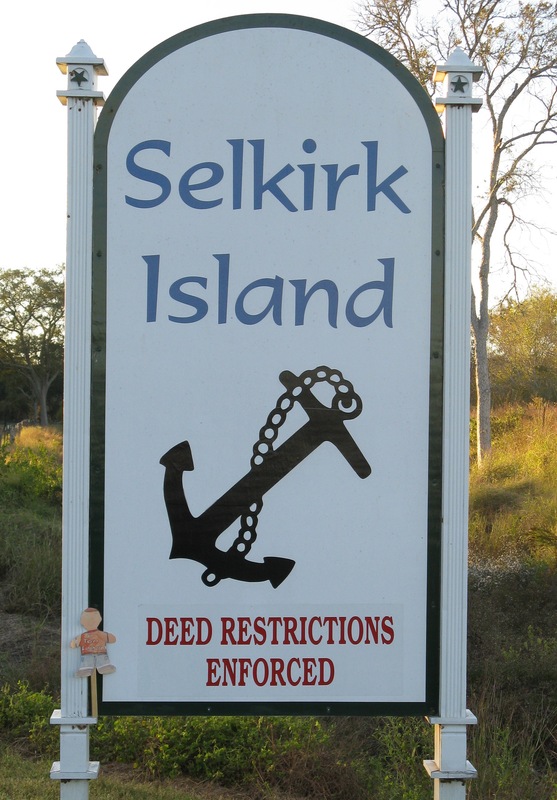 Selkirk Island is a residential community located along the Colorado River between Bay City and Matagorda, Texas. Subdivisions within the Selkirk area are Section I, Section II, Section III, Addition A, Pabst River Esates I, and Pabst River Estates II. Sections I, II, and Addition A combined to form Selkirk Maintenance – Sections I, II and Addition A., Inc. Section III and the Pabst River Estates make up the Selkirk Community Association, Inc. In addition, Exotic Isle is accessible from Selkirk. William Selkirk (1792-1830), one of Stephen F. Austin’s original “Old three hundred” settlers, came to Texas from New York in 1822. Selkirk was a surveyor for the Austin colony and served in the colonial Militia. He was part of a group sent (1824) by Austin to make a treaty with the Waco and Tawakoni Indians. His grant of land, known as Selkirk Island, was among the first issued by the Mexican government to American colonists in 1824. Ownership of the property has remained in his family since that time. Selkirk’s descendants have been prominent civic and business leaders in Matagorda and Galveston counties. Originally Selkirk’s land grant consisted of several islands formed by the branches and channels of the Colorado River. When the grant was surveyed in 1824, a log raft (fallen trees) blocked the river near Selkirk’s property. This raft hindered navigation inland for many years. Recent dredging closed the channels so that the land is no longer divided into islands. In the 19th century a sawmill stood where Mill Creek once emptied into the now dry east bed of the Colorado River. According to legend, one of Jean Lafitte’s Pirates hid a treasure at the northern end of Selkirk Island.